If you are considering managing your own investment properties then consider instead what Harcourts Gold property managers can do for you. GOLD PROPERTY MANAGEMENT IS SITUATED AT 501 PAPANUI ROAD. Our experienced managers have extensive experience in managing rental portfolios both liasing and keeping Landlords informed and dealing with Tenants. With expert systems and technology in place, our managers are able to keep Landlords fully informed of the current status of their portfolio, whilst maintaining excellent working relationships with Tenants and trades people. Tim McGoldrick knows that selling your property can be an emotional and stressful time. His innate empathy and ability to build rapport with those he engages, his constant refinement of skills, plus his ability to negotiate naturally and effectively assure you of the best possible outcome when you auction. In 2011 he become an integral part of the Barfoot & Thompson Auckland auction team. Here his auction numbers and results were dramatic, calling well in excess of 5000 auctions in his first 4 years. Whilst numbers are critical to an auctioneer, quality of care and service to vendor clients is Tim’s driving force. As a born and raised Cantabrian, the opportunity to join the Harcourts Gold auction team in 2017 proved irresistible. He is one of two regular auctioneers who understands the needs of owners and their compelling desire to maximise the returns for their most valuable asset. Tim combines his real estate experience, wealth of negotiation skills and award winning talents to get your property sold. Maree is committed to ensuring that both landlord and tenants requirements are satisfied. 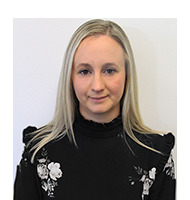 She continually strives to provide a high level of service and enjoys finding new ways to achieve a greater level of communication and development of knowledge. An organised, hardworking person, she will deliver to deadline and seek to find a solution for every problem. Maree’s interpersonal skills allow landlords and tenants to open up to and trust her guidance and judgement. A good communicator, she is proud of working with clients to help find them the perfect property or in this case, tenants. Maree loves the Christchurch area and the different types of homes and ages of them. She would be pleased to help you with your investment property needs. Please contact her to see how she can help you with your next rental. Ben is a proven auctioneer with an excellent skill set. As part of the Harcourts Gold auction team he is one of two regular auctioneers who work in tandem on auction day to ensure the best possible results for our sellers. His role also extends to assisting our agents with managing the auction process when they require it. He is always happy to talk to buyers and sellers before the reserve set and auction day should they have any questions about auction day or the process. With a rural Canterbury background and as a graduate of the University of Canterbury means he has strong local knowledge. His time as a sales consultant has forged his negotiation skills and given him experience guiding sellers through auctioning their properties while also helping buyers successfully purchase. Ben as your auctioneer will be an advocate of your property, working tirelessly to ensure information that allows sound property decisions to be made is in your hands. His naturally calm and friendly manner allows him to relate well with buyers in the room and during negotiations. Over 20 years experience at the forefront of Real Estate has made Mark O’Loughlin a recognized spokesman and acknowledged industry leader within the Real Estate Market in Christchurch, Canterbury and well respected by his peers throughout New Zealand and abroad. His involvement with multiple charities, Koru Care, Ronald Mcdonald House, Cancer for kids, Families for Families, Fight For Christchurch, and significant fundraising for schools and sports clubs is a testament to ongoing community involvement. 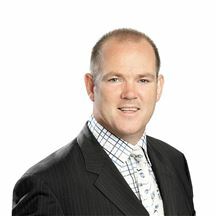 His passion for property and enthusiasm is been at the fore front of his continuing success within the Harcourts Group. Previous Management and Marketing experience for American Express International has helped to create exclusive highly efficient marketing programmes for home owners to achieve outstanding results. A proven performer with in excess of $ 385 Million dollars of property sold, frequent regional and national awards, and recognised as one of the elite 2% of all Real Estate Agents in New Zealand. Mark is a licensed auctioneer, business owner with the Harcourts gold North West franchise and Harcourts gold Property Management franchise and office. His strong ongoing referral network from previous clients is the testimonial to his success and recognition. Extensive knowledge in the blue chip locations of Fendalton , Merivale and surrounding suburbs has underpinned the successful sales and auction campaigns completed. Project work with significant Multi town house and apartment complexes has seen Mark and his skilled team become a leader in the successful marketing of pre construction and off the plan projects. This is an area of specialized marketing with a substantial database of inner city buyers and investors being utilized for outstanding results. Recent projects have been successfully 100% pre sold before construction. Mark and his team look forward to working with you whether you are looking to sell or looking to buy your first home or replace your existing home. Mark and his team offers a ” complimentary free no obligation appraisal of your property” to assist you in obtaining what is a fair current market value of your home. Call or email to receive this free benefit. It costs you no more to employ a market leader and professional team. Call Mark , you will be glad you did.